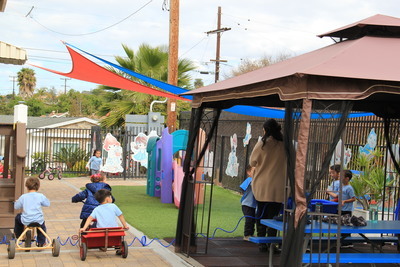 Our playgrounds are separated to accommodate the two classes and gated to meet the State's requirements. Play structures are safe and age appropriate for the enjoyment of each student-adequate space for playing, gardening, painting, water play and the most popular, riding tricycles. Some activities are conjoined with St. Michael Academy such as Open House, the very popular Parade of Saints and Fall Festival. Parents and grandparents a-like enjoy the Academy's Christmas and End of the Year performances! We take pride in bringing out the talent of our students while they perform as Angels, Joseph and Mary, Little Shepherds, and everything else that God has created. 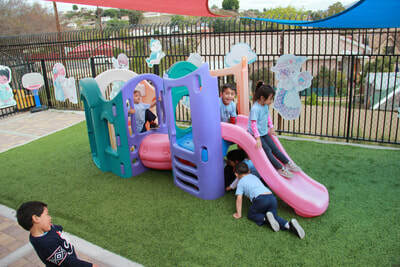 St. Michael Academy Preschool value your support, time and efforts in enrolling your children at our schools. We also acknowledge that most parents work and have very little quality time to spend with their family. For this same reason, we attempt to keep our fundraising events to a minimum. 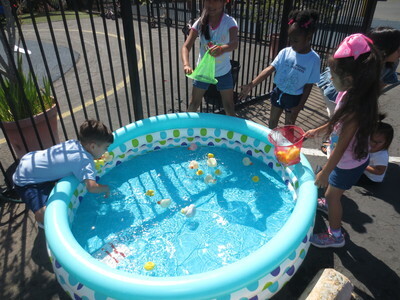 St. Michael Academy Preschool operates independently from the Academy and still help support each other's events. We rely on one or two fundraising events for the Academy Preschool to achieve financial goals that are not included in our fiscal budget. By having fundraising events, we keep tuition costs to a minimum and still make those special purchases. The involvement of you and the Community are so instrumental in the success of such fundraising events. A tradition to keep will be our popular "Sweets Sale" during the Holidays and our "Art Auction/Dinner" in the spring. 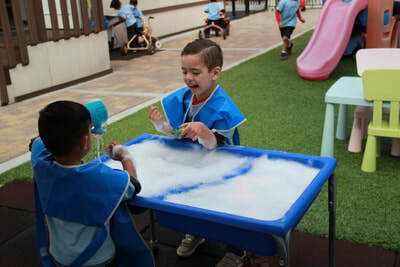 At St. Michael Preschool we want to share with the educational mission of the Church and each family. We want to build a faith community based on love and social skills. We want to develop a positive self-image, learn with God-given values and grow in knowing the needs of others surrounding Him at our Christian center.​"